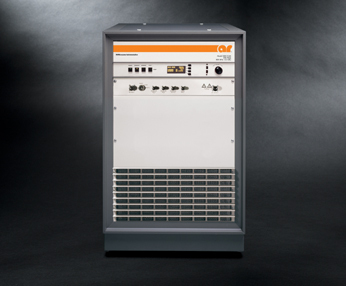 AR’s solid state amplifier family provides you with the power (1 – 800 watts) and frequency (0.8 to 18 GHz) needed for wireless and EMC testing. These amplifiers boast low spurious signals, noise figures and distortion. They also generate 100% rated power and make it available to the load even when mismatch is severe. In addition, many of the amplifiers is this family allow you to upgrade your existing amplifier to higher power without purchasing new amplifiers as part of the “Subampability” concept.